Before we get into the nitty-gritty of pre rolled cones and what cones you should use – here is a little background on the Cannabis pre-roll industry. The legalization of marijuana in the United States offers numerous new opportunities to find new and exciting cannabis products. One of those new options is a pre-roll brand that will take your customer’s enjoyment and ease of use to the next level. Pre-rolls take all the work out of the smoking process for customers, allowing them to focus on the experience provided by their preferred brand (you) instead. Early data suggests that sales for Pre-Rolls in 2016 totaled $158 million in revenues , with just three states selling the product at the time. Recreational marijuana is now legal in ten states as of January 2019: Alaska, California, Colorado, Maine, Massachusetts, Michigan, Nevada, Oregon, Vermont, and Washington. Imagine what those sales could be now! Washington, D.C. also legalized marijuana for recreational use for adults over 21. 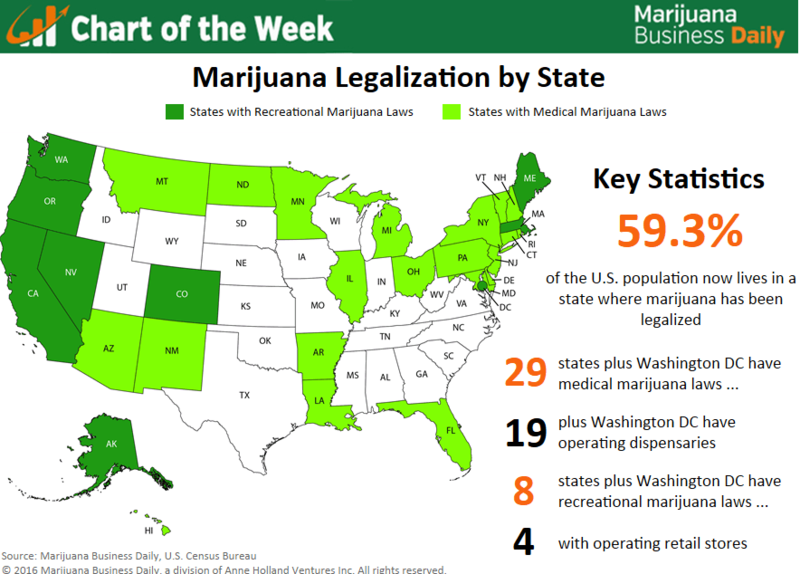 Medical marijuana is currently legal in 33 states, including the ones which permit recreational use. It should be pointed out that the Controlled Substances Act of 1970 still outlaws the use or possession of cannabis under federal law for any purpose. Although the government has said that it will not take an active enforcement approach in the states were legalization measures have gone through an approval process, you are still supplying the product at your own risk.Top pre-roll brands that you can find in several states include NATIV, Island, Pure Beauty, and Henry’s Original. Regional favorites include Saints in Washington, Shango in Nevada, and Bonsai Cultivation in Colorado. What Sizes and Payer Types for Pre Rolled Cones Are Available? There is something for everyone when your brand starts looking at the different sizes and paper types that are available for your cones. If you prefer something simple and straight to the point, then try a plain pre-rolled cone using our natural or white Parisian pre-rolled cones. We offer unbranded pre rolled cones in multiple sizes from 84mm all the way up to 109mm. This is the lowest cost option with the fastest lead times. We warehouse our unbranded pre-rolled cones in Washington with 2-3 business day delivery time across the West Coast. Here is a sizing chart for our bulk pre rolled cones without branding – the same chart applies to our custom branded pre rolled cones. We can also create any size pre rolled cone – whether you would like a cone for 0.25 grams or 7 grams. Custom branded pre rolled cones may be made with 100% hemp, flax, or rice. Lengths range from 56mm up to 280mm, depending on the style of pre roll you would like to offer your customer. The shorter pre rolled cones between 56mm and 84mm are perfect for multi-pack pre roll offerings. The smaller size allows the customer a convenient size for personal consumption – no having to save half-smoked pre-rolls! No one wants to smoke an ashy, old stale pre-roll. Give your customer another option! The larger sizes 98mm – 109mm are great for sharing – the 109mm size is popular for infused joints. The king size pre rolled cone is perfect for when you want to give your customer a heavy-hitting experience. Hemp Wrap Cones also known as Blunt Cones offer an authentic blunt style smoking experience. What is a blunt smoking experience? A blunt smoking experience is thicker and richer smoke while still allowing the taste of the flower to come through. For a naturally premium experience, consider an upgrade to natural palm leaf cones which offer a corn husk filter. We offer offers custom sizes on request as well. You can also source custom-printed cones to reflect your brand or shop, use spiral tip cones to create a new style of consumption, or take your own approach if you prefer. Whatever it is just contact us at Custom Cones USA and we will make the perfect pre rolled cone for your brand experience. What Pre-Roll Packaging Options Are Out There? There are several options for pre-roll packaging that will help you to get the most brand recognition for your product. One of the most significant innovations in this area of the industry is the child-resistant tubes and exit bags that can help to keep curious hands away from the product. Clear barrier bags offer a high-quantity package and is a cheap option for those on a budget. You can choose from clear, opaque, or colored options from most manufacturers if you go this route. Tubes are an effective way to store your pre-rolls safely while maintaining the quality of the product. A variety of color and transparency options are available here as well. If you plan to store large cones (up to 280mm), then a pop-and-lock box can meet your needs. This product automatically forms, and then locks into place, preserving the quality of your pre roll until you’re ready to enjoy it. What Customization Options Are Available for A Pre Rolled Cone? Pre-rolls are available with custom branded pre rolled cones, packaging, and additional options that can help you to begin building a brand. Options include a variety of paper types, cone lengths, and printing combinations. Highlight your brand’s messaging by using foil stamping, ultraviolet spot printing, and even embossing to match the quality of what you represent. Even custom-branded filter tips are possible with the modern pre-roll. If you prefer a bleached paper for your cones, then flax paper is your best options. Hemp paper comes unbleached. All papers come from FSC-certified materials which means all the raw materials used in the production of the rolling paper is sustainably sourced. When getting your pre rolled cones customized make sure that you are working with a direct-from-factory supplier to ensure your costs stay down and that if any issues arise they will be resolved swiftly. It will also reduce your lead time and improve the customer service experience. Marijuana legalization is sweeping around the world. Canada has already established a recreational market, while Mexico ruled that prohibition laws are illegal so it will legalize shortly. Several U.S. states have also joined this movement, as have other nations from around the world. Now is the time to launch a successful pre-roll brand using custom or standard products that fit your budget. Take advantage of these opportunities today to create a happier tomorrow.